This is the second post in my nail polish collection series. 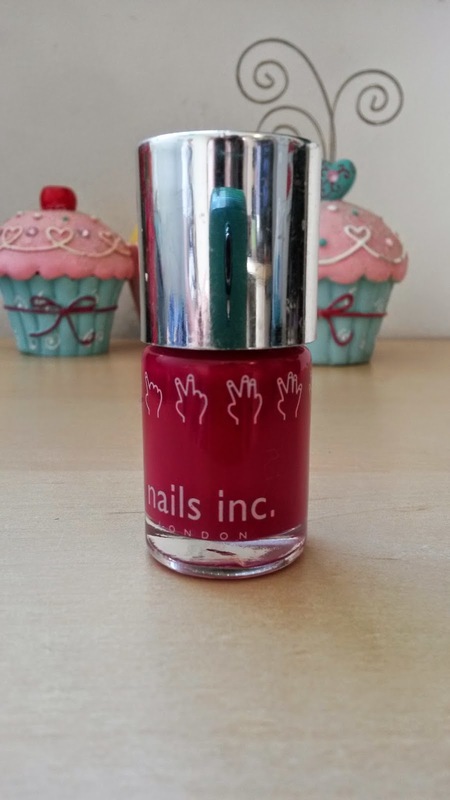 If you haven't read the first post where I spoke about my Topshop nail polish then go ahead and have a read of that if you want to! 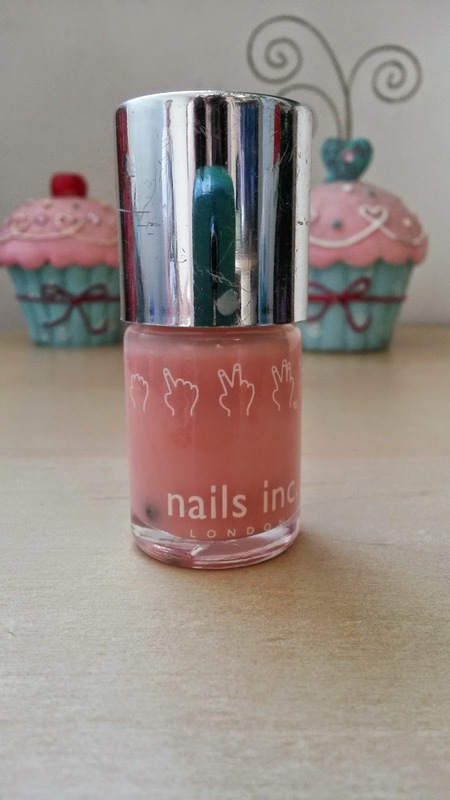 Today's focus is Nails Inc.
South Molton Street is a very very light - verging on transparent peachy colour. It's very sheer and there is very little colour payoff at all with this polish but that is to be expected as it's clearly not a solid colour in the bottle. It doesn't detract from it at all though as with a few coats you can achieve a sheer peachy colour which is beautiful! Really subtle and sophisticated and perfect for when you don't want anything too obvious. In Style Coral came as a gift with In Style magazine as the name would suggest and is a bright coral... the picture doesn't show just how bright it is. 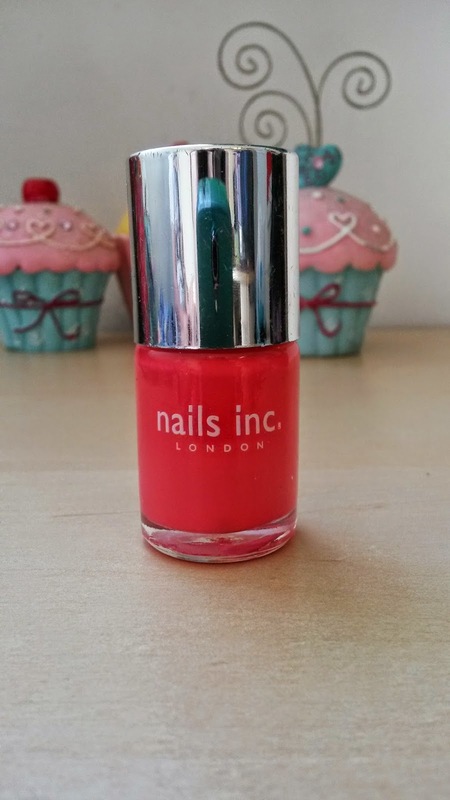 Two coats of this gives a perfect opaque colour to the nail and it's perfect for summer - I'll be using this a lot in the coming months, I can tell! Shoreditch is a bright-ish pink. I love this one so much that I can't actually describe it so I don't really have too much to say about it. However, the finish of this deserves some praise. In my opinion, two or three coats of this gives the look of a gel polish - it's so glossy and ... well, it looks like a gel! It really is beautiful and it lasts for a good week or so which is always a bonus! Next is Piccadilly Circus - I actually have two of these. 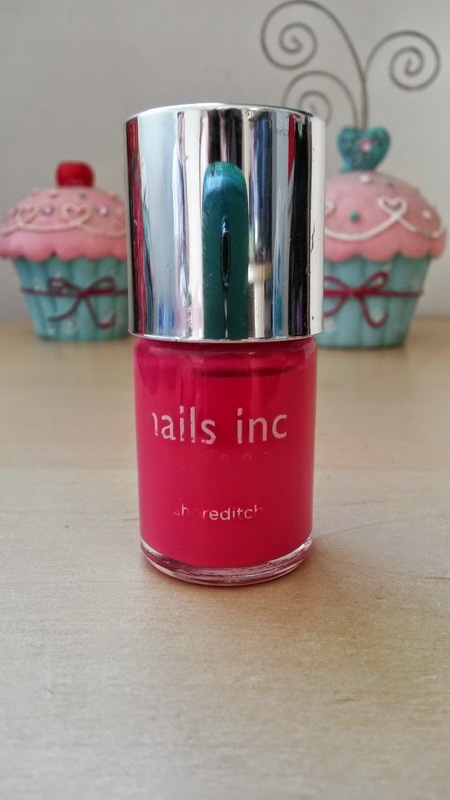 This colour is really kind of special because it's a kind of deep raspberry pink/red but it's bright at the same time, which means it's perfect for wearing in the Autumn/Winter months when you want something a bit deep and rich, but also perfect in the Spring/Summer months when you want something bright. On a side note, every time I wear this my boyfriend tells me he likes my nails and I reckon that if your boyfriend notices it every time, it's a winner. 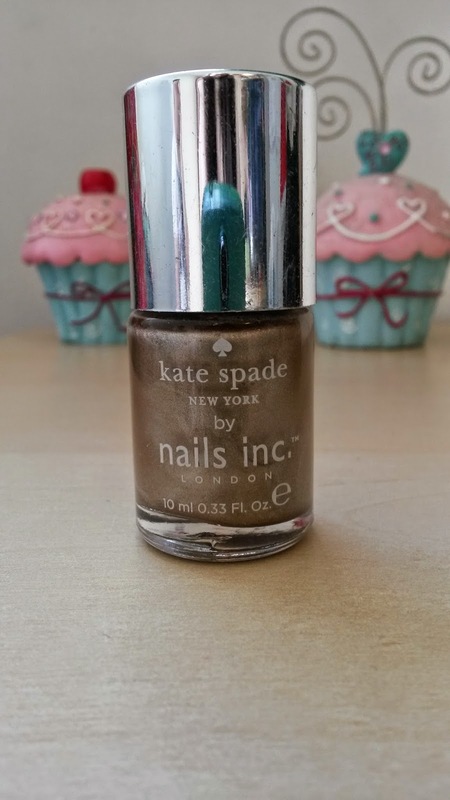 This is Uptown Glamour and this was from the Kate Spade range which was free with Glamour magazine last Christmas time. I don't have any other gold polish in my collection and so I bought the magazine purely for this. On the nails this looks almost like gold foil. I expected it to dry streaky the first time I used it because often, metallic polishes do dry with visible streaks but this wasn't bad at all. However, this didn't last long on my nails - only about a day, but I'm sure with a half decent top coat which I'm missing in my life right now, it would do just fine. 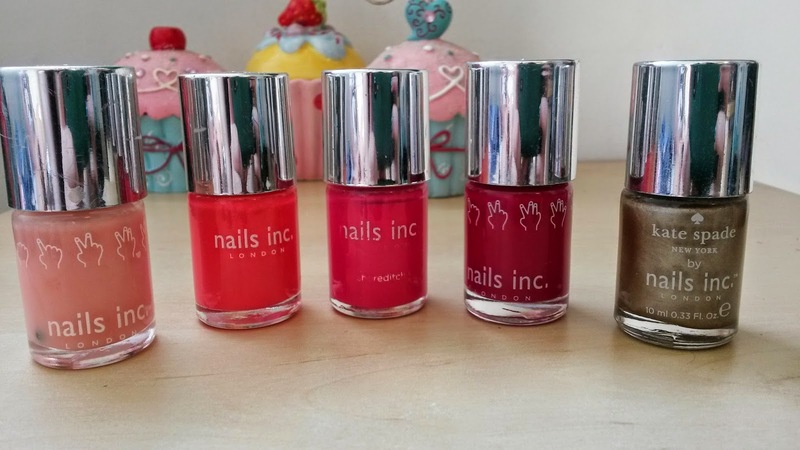 Have you tried any of these polishes or any other Nails Inc polishes? What did you think? Any recommendations?